Data acquired from the electrical activity of human hearts during episodes of atrial fibrillation, a disordered arrhythmia that is a major cause of stroke, reveals intriguing features for an excitable media: highly skew symmetric probability distributions with heavy tails, long range correlations, and broad singularity spectra. Interestingly, the relevant exponents extracted from these empirical laws are stable over several minutes but not universal. Their stable values are distributed among patients and areas of the heart. The question of central clinical purpose is whether they might characterise locally the myocardium contingent pathology. To achieve clarification of these peculiar facts, we were led to devise a phenomenological model that departs from the conventional approach to fibrillation. Instead of a defect mediated spiral wave “turbulence” induced by front collisions, fibrillation is pictured here as a highly intermittent modulation of cardiac pulse trains. It is based on the physiology of inter-cellular ionic exchanges, which is associated with the natural degree of freedom of the inter-pulse duration. We infer an experimentally unknown slow dynamics of inter-cellular coupling, that may induce an inter-pulse effective coupling. This interaction creates a modulation that may lead to intermittency in various ways. The exchange of charges occurs at small scales in the model. They are passively advected at each interstitial junction on fast time scales and on average collectively driving the larger scales. In fact, a dimensionless number characterising the dynamics is an analogue of the Rayleigh number. Away from a rapidly beating source, random back scattering and front splitting make pulses follow random hierarchical “percolating” paths in 1D. We discuss very briefly the topological origin of these dynamics. In the light of this model, we don’t omit to mention some important physiological aspects of the pathology that are still not well understood and more possibilities for the case which comes to grip with sudden cardiac death. 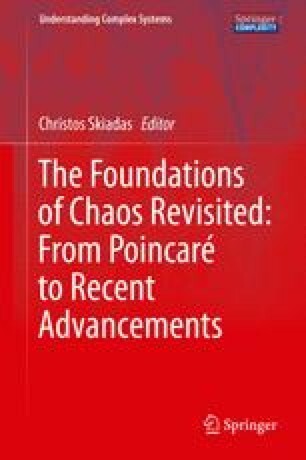 8th CHAOS Conference Proceedings, 26–29 May 2015, Henri Poicaré Institute, Paris France.